Tiny PSC is the Latest Tanzanian Graphite Entrant: Set to Emulate Peers? The blueprint for ASX-listed graphite players in Tanzania is well established, but now there is another ASX listed entity looking to disrupt the establishment. 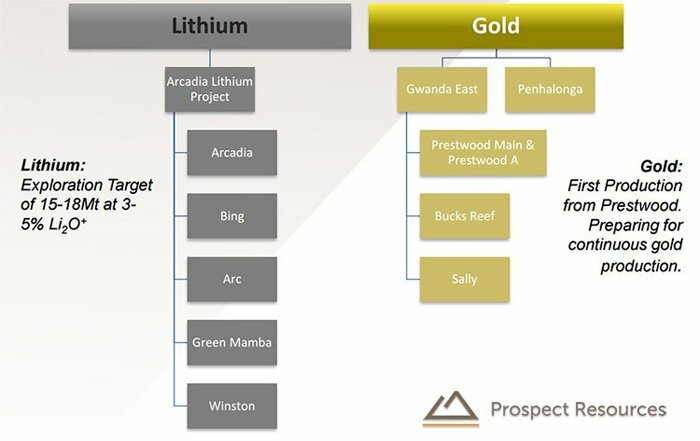 Prospect Resources (ASX:PSC) is about to take its first real step in the East African graphite market. PSC hopes to emulate the success of its bigger peers such as the $23 million capped Mozambi Resources (which regular readers would have heard of before ) and the even bigger Magnis Resources ($200 million market cap fully diluted). While it is a very junior player in this game, capped at around just $4.5 million, PSC does one key point of difference: near-term gold production underpinning graphite exploration. We’ll get to that shortly. Before we go too far, it should be noted that PSC is a very high risk stock. Getting mining projects up and running in Tanzania is no simple feat for political and social reasons, and there will be challenges ahead. The big news for PSC recently stems from the results collected from 106 samples at five trenches excavated at its Chiliogali Graphite Prospect. The results showed consistency with results taken from the first phase of assaying undertaken in 2014 on eight other trenches. PSC found the average grade of all significant intersections is 13.7m @ 12.8% Total Graphitic Carbon (TGC). For those who have been following the graphite exploration story as it explodes around the world, you’ll know that these are significant numbers. Further to this, an impressive 75 conductive anomalies have now been identified over 9km of strike length, with graphitic units probable across the majority. With this in mind, PSC will soon turn its attention to an enlarged trenching programme that targets the anomalies – and soon after drilling. 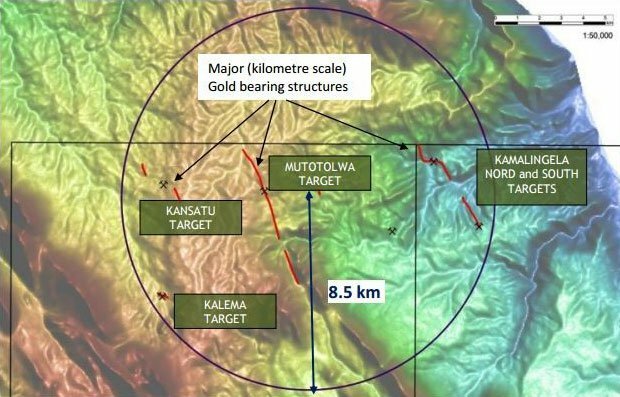 PSC is confident of finding more thick zones of graphitic mineralisation throughout these. With that, we welcome you back to the PSC story. 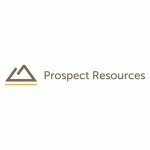 In this Next Small Cap article, we’ll run through Prospect Resources (ASX:PSC)’s Tanzanian graphite play and give you some insight into the gold production potential which is underpinning its journey. PSC hasn’t officially taken the first step on its journey yet, and subsequently its market cap is just $4.5 million compared to Mozambi Resources (ASX:MOZ) which has just defined a JORC resource and has a market cap of $23 million. In some ways, PSC reminds us of MOZ back in early 2015 – very early stage East African graphite exploration and a similar market cap. Can PSC follow the same path to success as MOZ in the Tanzanian graphite game? The next few months will be critical. If you also factor in the more advanced Magnis Resources (ASX:MNS), with a fully diluted market cap of $200 million, which has a pre-feasibility study and offtake deals in the making and you realise that PSC is some way off its neighbours. 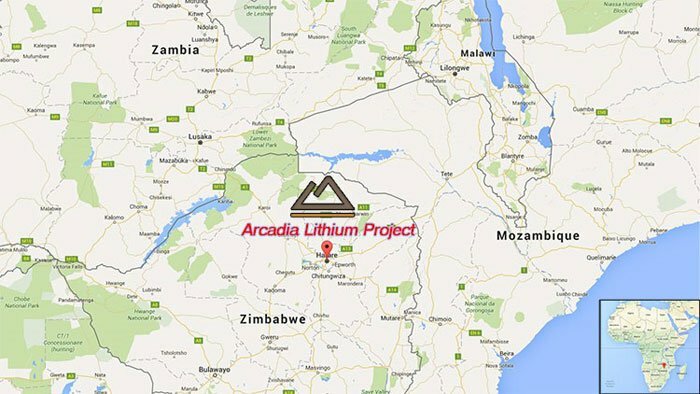 Which for the astute investor, could be an opportunity – this is an early stage, ground floor investment – much like MOZ was before that company had sunk a drill hole into its graphite tenements. PSC has made a good start in Tanzania with the grades and quality of graphite identified at the Chiliogali Graphite Prospect in trenching to date demonstrating there is potential for PSC to morph into a significant player in the graphite industry. Last year PSC entered an option agreement with ASAB Resources to pick up an initial 51% in the Chiliogali graphite project for just $US30,000 ($A43,600) and an additional $250,000 in either cash or shares. PSC will then be able to pick up another 39% in a two-stage farm-in with $1 million in exploration spend and $500,000 in cash or shares. PSC also has a first right of refusal on the remaining 10%. The project is located about 180km west of Mtwara Port in south eastern Tanzania and is surrounded by infrastructure. Let’s face it, there’s nothing like a deep-water port close to your project that screams commercial potential. Now have a look at the map below. Do you notice anything familiar about Chiliogali’s location? That’s right. It happens to be next to Nachingwea – in the exact same region where the aforementioned MOZ and Magnis are having a right old time of it. Not a bad neighbourhood to be in, then. Despite PSC being the new kid on the block, the Chiliogali project has a history going back to the 1950s. The Chiliogali project is made up of two permits, with the known graphite prospect straddling both. During digging for a railway project in the 1950s, promising graphite was found with previous owners bringing up grades averaging 11.5% total graphitic carbon over 15.8m. The project wasn’t touched again until 1993 when a company called Pangea Minerals took some more samples on the site of the old trenching. Those samples included grades of up to 35%, while test work indicated that a 98% concentrate could be produced using a simple forth floatation process. On the back of that, Pangea did consider taking a formal option, but didn’t pursue the project as the price of graphite wasn’t the most supportive for explorers in the region – not as it is today. Enter Syrah Resources (ASX:SYR) subsidiary Jacana Resources in 2004, which took an option from Asab Resources. The first thing it did was take 33 grab samples, which returned an average grade of 15.5% TGC, with a peak value of 28.8%. Then it dug 12 trenches out of a planned 30 and took samples from eight of those trenches. An overall weighted grade of 11.5% TGC over 15.8m was returned, with a mammoth peak grade of 31.8%. Then PGC Geophysics out of Perth undertook a ground electromagnetic survey, with 100km of lines taken. It ended up identifying 13 anomalies along strike for Jacana to follow up on. The graphite market wasn’t supportive in the mid-2000s so once again the option holder decided to focus on other things. These days though, the market picture is a bit different. According to a P&S Market Research report , the global market for graphite is well-placed to grow by 4% per year from its current base of $15.06 billion out to 2020. The supply/demand imbalance is thought to be in favour of suppliers to the tune of 1500 tonnes. PSC now has the opportunity to waltz into the market and build upon the technical work done to date. While it was very early testing, and trenching only, the earlier option holders managed to bring up average grades of between 11.5% and 15.5%. This is considered high-grade stuff, and should PSC be able to repeat the trick as it goes along its own exploration journey via drilling, then it could be off at the races. However there is no guarantee that this will occur – the graphite mineralisation may not extend – minerals exploration is risky, and caution should be applied when considering PSC for your portfolio. In the short term, PSC will be looking to get results from the Thin Section Analysis being undertaken and also metallurgical testwork of the existing samples. So there should be some more news on this prospect soon. Then PSC may undertake an electromagnetic survey to back up the PGC Geophysics’ work and excavate 20 trenches. After this, it may undertake a short-hole reverse circulation drilling program in order to try and prove up a JORC resource as quickly as possible if the strong results continue. It will also be talking to market participants regarding offtake and farm-in opportunities at the same time. Earlier this month PSC finally got its boots on the ground at Chiliogali, and what it did backed up the bullish numbers coming from the previous work. The first thing it did was send off samples dug by Jacana back in the day for assaying. Remember when we said that it sampled eight of 12 trenches it dug? Well, it turns out that samples from trenches 8-13 were taken, they just weren’t sent off for assaying. That’s a simple fix, with PSC sending off those samples. In all, there were 106 new samples to send off. Results from the new batch of samples included hits like 4.5m @15.2% TGC, 23.5m @ 23.6% TGC, 15.2m @ 16.5% TGC. While this is surface trenching, even so, those are huge grades. PSC now has assay results for both the previous samples from the eight trenches, and the samples from the new batch. All in all, it has data on 458 channel chip samples. The peak grade from these was 33.2% TGC. There were 150 samples with more than 5% TGC. 114 samples had a TGC with more than 10%. A further 41 samples had a TGC of more than 20%. That means over two-thirds of samples had a TGC of more than 5% at least . The weighted average of all the samples is 13.7m @ 12.8% TGC. 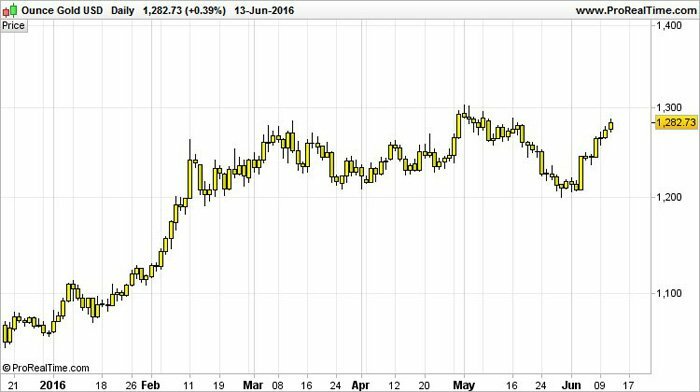 The chart below is from another graphite player, Metals of Africa (ASX:MTA). It declared a JORC resource in November last year, and put together a list of comparable grades around the place. As you can see, 13.7m @ 12.8% TGC is encouraging and puts PSC at this very early stage at least in the same wheelhouse as the likes of Syrah, Triton Minerals and Magnis. So it turns out that while PGC Geophysics was taking electromagnetic data at Chiliogali, it wasn’t actually interpreting a large chunk of it. Or, rather, it just hadn’t finished. Remember that it had run 12 traverses at 1km, taking about 100km of line data. On the initial analysis, it found 13 anomalies on trend. However, PSC picked up the phone to PGC Geophysics’ and got the outfit to re-run the data in a more thorough fashion. Because of that re-interpretation, PSC now has a total of 75 anomalies along 9km of strike to follow up on. Normally our eyes glaze over whenever mining companies start talking about regional geological settings, but PSC made our eyes open just a bit wider when it started shooting the schist. The regional geological setting PSC is poking around in host a range of different rock types, from marble, mica, to graphitic schists. Rocks in the Usagaran system in Tanzania tend to host gold, nickel, copper and all sorts of gemstones alongside the obvious graphite play. If PSC is able to find a tinge of gold along with the graphite, then it will well and truly feel right at home in Chiliogali. At the moment, PSC is planning to analyse some of the trench samples for gold – so it’s perhaps a bit too early to factor gold into the equation at Chiliogali, but it’s worth keeping in mind. When we first covered off on PSC, it was a near-term gold producer in Zimbabwe. That hasn’t changed, but the strategic role of its Zimbabwe play has. Instead of being the main game for PSC, Zimbabwe promises to be the thing which underpins its graphite play in Tanzania. While the gold play is great, it’s unlikely to provide the scale needed to really grow into something big. By attaching itself to graphite, it’s got a development path which has been well-trodden by other Australian-listed players. The game plan is there, and proven to investors. However, the operation underpinning the whole thing is gold. With cashflow from the gold business looking likely to come in, it should negate some of the need for PSC to dilute shareholders for graphite exploration funding requirements. As part of the option deal with Assab, it already has the possibility to convert shares for stakes in the project – so further shareholder dilution probably wouldn’t be welcome. Luckily, PSC has the assets to keep dilution to an absolute minimum. It is aiming for annualised production of about 15,000 to 20,000 ounces per year, expanding that out to 40,000 ounces per year. Which should be a solid revenue stream to allow for some serious graphite exploration. The play here from PSC is to basically go into older mines, work them over, and get them to production as soon as possible. It’s similar to what happens with small-cap oil plays, where a company will go into an old well and work it over to get production happening. PSC’s main focus is on a cluster of mines referred to collectively as the Gwanda East project. The overall project covers the eastern portion of the Gwanda Greenstone Belt and contains the Prestwood, Sally, Wilson and Bucks Reef mines as well as dozens of active artisanal sites, all along the same geological signature. Let’s take a quick look at a few of the mines PSC is looking to bring into production. The mine itself has historic production of 16,000 ounces of gold, mined intermittently in the 20 th century before World War II and the transition of Rhodesia to Zimbabwe, and then again at the turn of the 21 st century. It’s important to note that the mine closed not because production was tapped out, but because of both war and the gold price fluctuations over the course of the 20 th century. PSC’s other major mine target is Buck’s Reef. Historically, the mine has produced 46,168 ounces of gold, with the mine starting operations in 1902. Artisanal mining has firmed up grades of up to 16.4g/t in a parallel structure to that of Buck’s Reef, results which are consistent with results of RC drilling done by PSC in 2014. Over the mine’s life, it has closed and re-opened several times as the gold price fluctuated and various ore bodies were discovered. PSC is hoping to bring Buck’s Reef online as a high grade component to its overall multi mine gold play. The key aspect to PSC is that it doesn’t just have one mine it’s working on, but rather has a whole suite of existing mines within its tenements it’s just waiting to crack open. Projects such as the Penhalonga Gold Project and Sally Gold Project offer plenty of longer-term play for PSC. It’s very early days here, but PSC is positioning to be the next early-stage graphite play off the ranks for ASX investors. It’s picked up a graphite project in one of the hottest street addresses in the world – and the early technical work seems to suggest that PSC could have something good on its hands. If PSC is able to tread the same development path as its bigger ASX listed peers, and strong grades are encountered in drilling, then PSC could start to really catch up. However success is far from guaranteed here, PSC is in the early stages of exploration – a lot of work needs to be done before PSC can claim a JORC resource. We’ll know more of course as PSC moves through the technical work still to come, and metallurgical testwork results should be on the way very soon. After which, it will sink the drillbit and hopefully work its way up to a JORC resource. But at this stage, a 9km strike of electromagnetic anomalies combined with positive assay results on chip samples seems to be promising at the very least. Meanwhile, over in Zimbabwe it will quietly be working over old gold mines so it can have the cashflow to underpin its graphite ambitions.